My River City childhood was pretty much an art-free zone, but one memory in particular remains vivid. It involves Edith Collier. Growing up in Gonville my main preoccupations were playing on the smelly mudflats down at the river and building tree huts in the hospital plantation. However, everything else stopped whenever a striking looking woman arrived in a very impressive car for regular afternoon teas next door. She would sweep up to the neighbour’s door wearing furs and a hat with a feather sticking out of it. I climbed onto the fence to watch this spectacle and learned from my father that the woman wasn’t a film star as I had thought, but a famous artist. 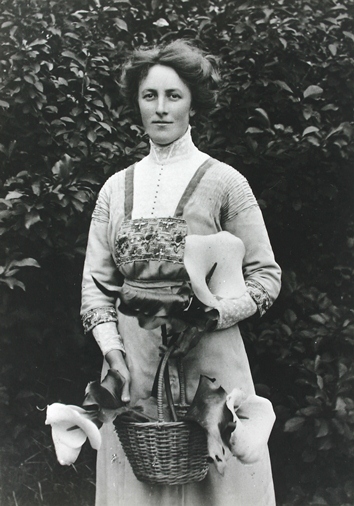 Later I became fascinated with the story of Edith Collier’s life and particularly the controversy and conservative, reactionary prejudice that swirled around her when she returned home from Europe in 1921. Sadly, it counted for little that she had made her name abroad as an important, talented and respected exponent of the revolutionary early modernist art movement. Returning to live here a decade ago after my own travels, I was immensely pleased to find a section of the Sarjeant Gallery devoted to a semi-permanent display of Edith’s paintings. A fitting tribute to our most famous artist and an expression of the Collier family’s relationship with the Sarjeant, the revolving thematic selection of her works provided fascinating insights into the places and times in which she lived and worked. 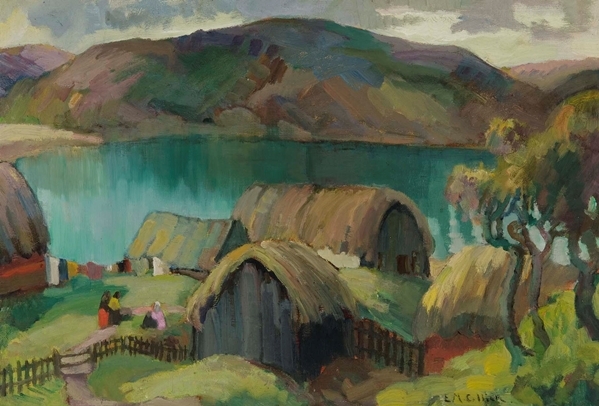 Her paintings are very accessible and document the everyday life and landscape of places as far apart as Kawhia and Ireland, yet she occupied an important role in the excitement and ferment of early modernism in Europe. She and her contemporaries asserted women’s place on merit in that early 20th century art world and in recent years an excellent book and DVD have underlined her importance. Sadly, Edith’s paintings have been out of sight since the Sarjeant closed in March but, all going well, they’ll be back when the Queens Park strengthening and extension project is complete. And while display space is limited at Sarjeant on the Quay, they’ll be safely housed there and accessible to visitors on request. Henry Sarjeant and his fellow city fathers and mothers succeeded in building a gallery and collection that ‘put Whanganui on the map’ in the early 20th century, and Edith Collier is an important and internationally recognised part of our city’s history and identity. We now have the opportunity to ensure their legacy continues through the 21st century and beyond. I look forward to seeing Edith’s paintings proudly displayed when the newly extended and strengthened Sarjeant reopens in Queens Park.